The legends of pearls have been spoken about since antiquity. In Persian mythology, pearls were treasured as one of the most valuable of all gems, and regarded as “tears of the Gods.” The Chinese believed that pearls were jewels in the sea and grew by the power of the moonlight. In ancient Rome, pearls were considered a gift from heaven- rising to the surface of the oceans to catch the morning dew. If the dew was clear, the pearl was white and mucky dew produced shades of brown. Roman women wore pearls as jewelry, hair ornaments, sewn on their clothes and shoes. Pearls were attributed to the Roman Venus Goddess of Beauty, inspiring the Roman Queen Lollia Paulina to drape herself in pearls worth 40 million sesterces, the equivalent of $1,600,000.00. Queen Cleopatra won her battle without any combat. 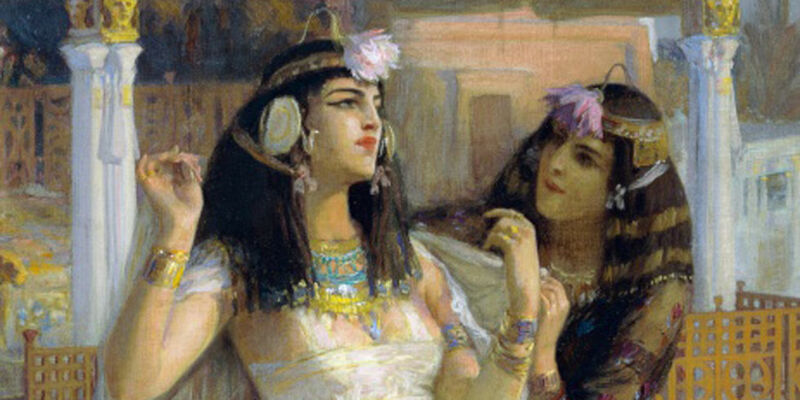 She seduced the Roman commander, Marc Antony, her opponent, by betting him she will serve “the most expensive meal he’ll ever have.” Cleopatra dropped one of her valuable pearl earrings in his glass of wine, it dissolved, and he drank it and lost his bet. Queen Elizabeth I, owned more than 3,000 dresses and 80 wigs embroidered with pearls. The amount and value of her pearl collection was not recorded, but it must have been extraordinary to adorn such vast fabrics. In the sixteenth century, a large and perfect teardrop shaped pearl, named “La Peregrina” (the pilgrim), was discovered in the Gulf of Panama and gifted to King Ferdinand V of Spain. The king presented it to his wife, Mary Tudor of England, as a wedding gift. The pearl became an emblem of royalty, worn by each daughter on their wedding day through the following generations. Lost from the public eye for years, the whereabouts of the “La Peregrina Pearl” were unknown until 1969, when it went appeared at auction. The seductive lore, of the pearl with provenance, continues today into our 21st century. Richard Burton, the famous actor, purchased La Peregrina for Elizabeth Taylor on Valentines Day in 1969 for $37,000. When Taylor passed away in 2012, her famous pearl went to auction and sold, after four minutes of bidding, at the highest amount ever paid for a pearl, $11,842,500.00. 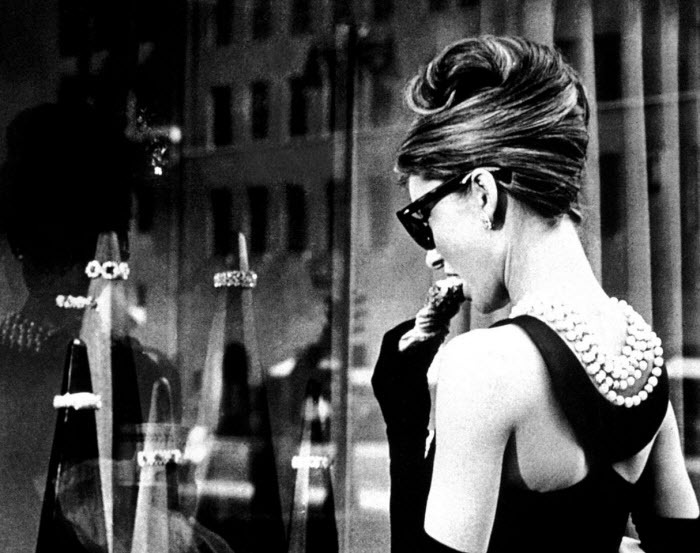 The world adored Audrey Hepburn in “Breakfast at Tiffany’s” nibbling on her pastry while wearing long strands of pearls in her little black dress. Fashion queen, Coco Channel, was the first to introduce pearls as a fashion accessory for everyday wear– pearls were her signature. The oldest recorded pearl jewelry, dating 4,300 years old, was found during the excavation of the king’s palace at the Persian capital of Susa, and is on display in the Egyptian Museum in Cairo. Ancient reliefs in the Mideast portray Assyrian and Persian kings with single pearls woven into their long beards- men wore pearls to symbolize their power and wealth. Centuries later, pearls were introduced to Greece by Alexander the Great. In the thirteenth century, Marco Polo visited the coasts of India and the Persian Gulf, and recorded the labor of the local pearl divers. He described the divers as “being laden with weights and lowered to the seabed to gather pearl oysters while holding their breath.” In 1921 the cultured, spherical pearl became available to the general public and the entire pearl industry was transformed drastically. The value of a natural pearl dropped tremendously, when the cultured pearl became an affordable accessory. The first attempt at pearl cultivation was by the Chinese in the eleventh century. However, it was not until 1913 that German zoologist Friedrich Alverdes established the exact scientific process to explain how a pearl is created from the oyster. Alverdes discovered that pearls are formed when a foreign body, such as a grain of sand, penetrates the shell of the oyster. In order to isolate the irritant, the mollusk encases it with layer upon layer of a substance called nacre, or calcium carbonate. As each layer of nacre is added, the pearl (covered irritant), becomes more iridescent. A lustrous, fine quality pearl takes typically six to eight years in an oyster to create thick nacre. Poor quality pearls, appearing chalky and dull, has thin nacre when taken out of an oyster too soon. A Japanese carpenter, named Mise, started pearl culturing experiments in 1904 and became the first person to develop a spherical, cultured pearl. However, Mise was not able to achieve a patent in Japan for his work. Based on Mise’ effort and knowledge, a zoologist named Nichikawa in 1907, also began producing spherical, cultured pearls. Upon his death his father-in-law, the noodle seller Mikimoto, took over the culturing project and created a company by achieving a patent. Mikimoto named his new firm after himself, although he had no prior knowledge about culturing a pearl. Over the years the Mikimoto company has made great contributions to the development of the pearl industry. Because Mikimoto was long believed to be the originator of cultured pearls, the term Mikimoto Pearls is used incorrectly as a term for the finest cultured pearls. Cultured pearls are produced from the Akoya oyster from Japan and the name, Akoya Pearl, refers specifically to a Japanese saltwater cultured pearl. The Japanese Akoya cultured pearls are round and oval to semi-baroque in shapes. The natural colors are white, rose, and light-golden; ranging in sizes typically from 2mm-19mm. Pearls are cultivated in many parts of the world. 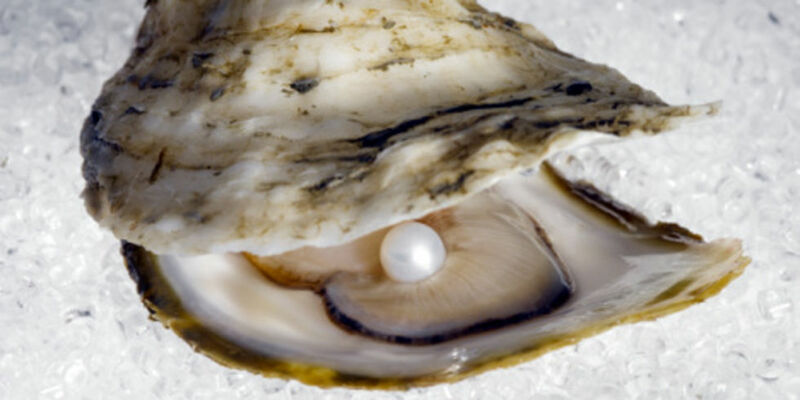 The largest pearls in the world are from huge oysters in the Australian warm waters. South Sea pearls are grown over 20mm in size and can be round or baroque in shape, with colors varying in shades of white, grey and golden. The most expensive of all pearls, a strand of matching perfect, golden-round South Sea pearls are very rare. South Sea Pearl refers to a pearl cultivated from the waters of Burma, Indonesia, French Polynesia and Australia. Any shelled mollusk, in fresh or saltwater, can produce a pearl. 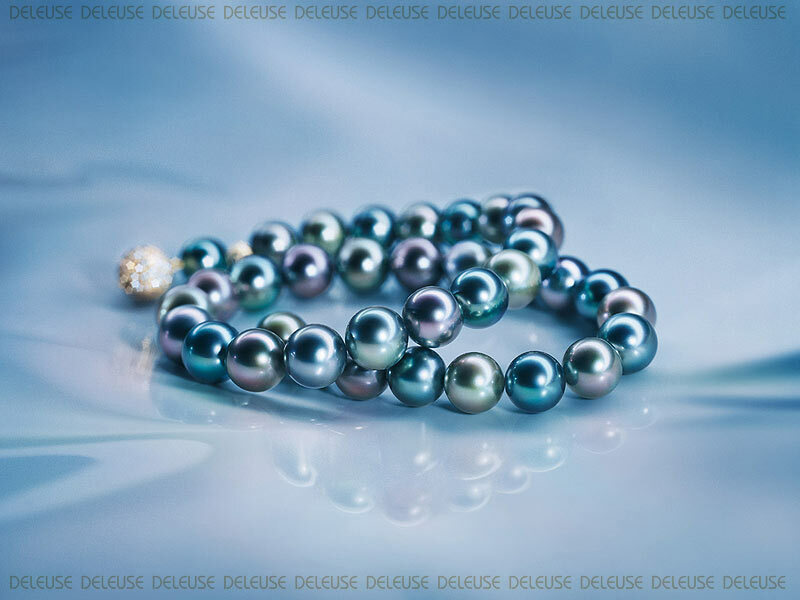 Cultured pearls, as a result from the mollusk with artificial insertion of shell, will produce consistently high quality, lustrous pearls used for jewelry. The saltwater pearl oyster used for culturing is known scientifically as Filibranchia, of the class Lamelli branchia. The generic name is Pinctada, or more commonly known as the Akoya. The second most important saltwater producing mollusk is the giant conch, Strombus Gigas. Conch pearls produced from this shell have an opaque, naturally vivid pink color and are extremely rare. Orange pearls, have a similar appearance to the conch, are unique to the Malaysian, Myna Marian and Vietnamese waters. Pearls cultivated from the waters of Tahiti are known as Black Tahitian Pearls. Not a true black, they are shades of grey to dark gunmetal blue with overtones of green, pink, lavender and brown. A lustrous black pearl should look metallic, with very few to no blemishes. Tahitian pearls range in sizes of 7mm to 30mm, with shapes round to baroque, round being the most valuable. Natural colors of the cultured Tahitian pearl should not be confused with the dyed black pearls from China. Pearls found in the oceans at random by divers, not cultured, are Natural Pearls. Natural pearls of the finest quality are from the Persian Gulf are traditionally termed Oriental Pearls. Natural pearls have been found in the Gulf of Manaar, Red Sea, India, Australia, South Sea Islands of Micronesia and Polynesia, Japan, Venezuela, Gulf of Mexico, Panama, Pacific coastline. Natural Freshwater Pearls have been discovered in rivers around the world. Some of the best quality freshwater pearls are from the Mississippi river and have been collected for designing fine jewelry. The pearls vary in baroque shapes resembling wings, teeth and flower petals. Tiffany introduced a Mississippi freshwater pearl collection in 1857, and a new craze was born. Americans loved the newly introduced pearls. President Lincoln bought a necklace, earrings, brooch and bracelet set of fresh water pearls from Tiffany’s in 1861 for his wife, Mary Todd Lincoln, to wear at their inaugural ball. The first cultured freshwater pearls were originally from Lake Biwa in Japan in 1925. Large baroque pearls with a smooth surface and a fine luster, Biwa pearls were used and collected for fine jewelry. Unfortunately, the production of Biwa pearls no longer exists because the water in Lake Biwa became too polluted for the mollusk to survive. Chinese cultured pearls have become popular since 1991 when the Chinese transformed many rice fields into pearl farms. The overall quality of Chinese pearls is poor, having thin nacre and exhibiting a duller surface. The reason for this is the overcrowding of mussels in the lakes that deprive the mussel of essential nutrients for ideal growth. Chinese pearls are a less expensive priced pearl. Chinese pearls are typically dyed in a variety of colors, ranging from peach, lavender, pink and vivid brown, gold, green and black. Long, multiple strands of pearls were the ‘thing’ to wear in the roaring twenties, chic women of all ages celebrated the decade of decadence. At a time when the rich got richer, the money spent on luxury items increased. According to Tiffany’s documents in 1925, Mr. Wannamaker, following the tradition of ancient Rome two thousand years before him, bought an opera length strand containing seventy-nine pearls for $228,800.00. The following September, he returned for a larger pearl strand at a cost of$304,480.00. Not to be outdone, Mrs. Marshall Field outspent him when she purchased a $60,000.00 single pearl—possibly the most money ever paid for a pearl. When these lucrative times came to an end after the 1929 crash, amazingly, pearls held their value during the depression. 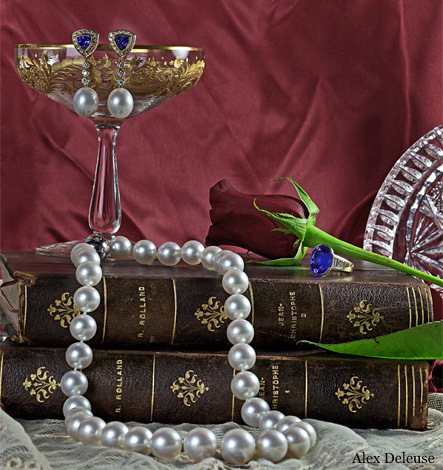 Pearls maintained a high value because of their scarcity prior to pearl culturing. 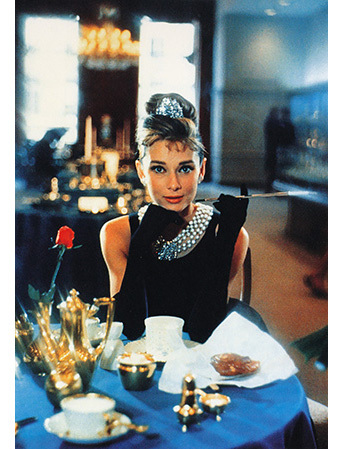 Cartier Jeweler frequently tells the famous story relating to the value of pearls. In 1910, Mrs. Morton Plant sold her fabulous mansion at 52nd street and 5th Ave. in New York to Cartier for a strand of pearls worth one million dollars. Cartier still operates their store from the Plant mansion today. 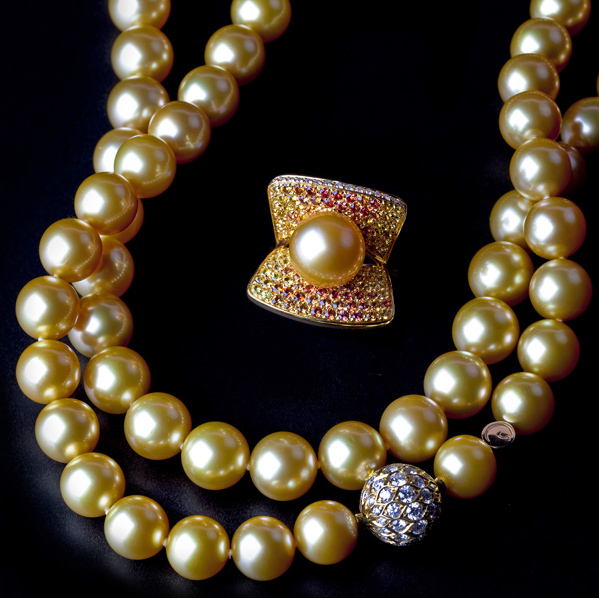 Pearls are graded according to size, color, luster, surface blemishes and shapes. Some pearl companies have their own system of grading. For example, AAAA identifies the top quality pearl to A for the lowest quality. There is no universal set of grading standards and the A system is very subjective. Buying pearls from a Gemologist is recommended. The size of a pearl varies, depending on the type of oyster, the location and the water temperature. 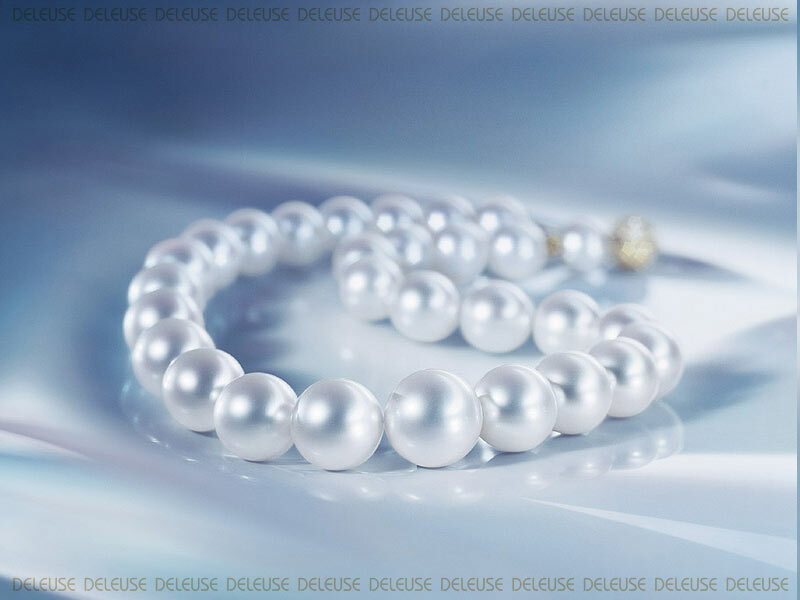 The worldwide standard for measuring pearls is in millimeters. Pearls are sold based on the “momme”, which equals 3.75 grams in weight. Momme indicates the thickness of the nacre on each pearl, therefore a more valuable, lustrous pearl, (when measuring pearls of the same millimeter size) will weigh more. Pearl sizes generally range from 2mm to 20mm, in increments of half millimeters. Natural pearl colors are dependent on the type of oyster and location of they live. Akoya pearls range from white, pink overtones and pale yellow. Freshwater pearls naturally develop in a variety of colors in white, and soft hues of pink, peach, yellow, lavender, gray. South Sea Pearls range from white to golden and Tahitian pearls are typically grey with overtones of greens and pinks. If a pearl exhibits a vivid, uniform color, it is an indication that the pearl is dyed. The luster of any pearl, whether natural or cultured, depends on the thickness of the nacre. If the nacre is thin, the pearl will look chalky and dull; a pearl with thick nacre will appear ‘metallic’ and exhibit a reflection. It is best to view pearls in natural light. Fine quality pearls exhibit iridescence. 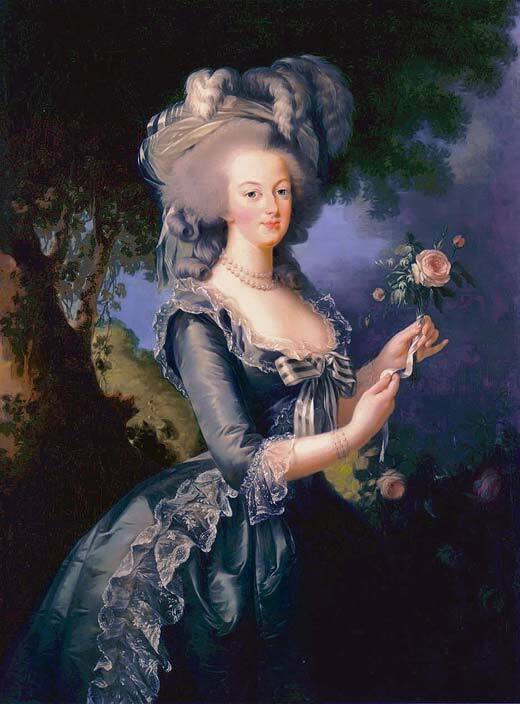 For example, a Tahitian grey pearl may have overtone hues of lavender, pink and olive greens—called ‘peacock’. A lustrous, even color, without blemishes and perfectly round is the most valuable. When a pearl is not completely smooth and has slight nicks, wrinkles, scratches, cracks, pits, dimples, bumps in the nacre, known as surface blemishes, value will be diminished. A perfectly round pearl is the most valuable of all. The Japanese Akoya form round pearls more often than any other type of oyster. There are many oval shaped pearls that may appear round; the price of a slightly oval pearl will be considerably less. Many different shapes of pearls, depending on the type of oyster and the type of nucleation, are found all over the world. A Baroque shape refers to a pearl that is not round, but has an irregular shape with uneven surfaces. Examples of baroque shapes are called pear, rectangular, square, egg, button, wings and coin. Tahitian pearls can be round, semi-round, drop, button, baroque and circle (rings around the pearl). South Sea pearls are round, semi round, circle and baroque. Freshwater pearls are mostly baroque and come in endless varieties of shapes, often flat as rather than spherical. A blister pearl is a natural or cultured pearl that is attached to the surface of the shell, when they are removed from the shell they are flat on one side and covered in nacre on the top. Mabe pearls are a cultured blister pearl with a round top and tend to be very delicate. Seed pearls are very small natural pearls usually 2mm round. Keshi pearls are a byproduct of the oyster, a small pearl that can form in the muscle of the oyster in addition to the cultured pearl. They can be flat, oval, odd-shaped and usually has a poor luster quality. When choosing a strand of pearls, the first thing to look for is matched size, color, roundness and luster. Pearls are traditionally strung on a special silk cord from Japan that are usually tied with a tiny knot in between each pearl to keep them separate and secure. When pearls are worn over the years the thread will stretch, if the pearl slides on the thread, it is an indication that it is time to have the pearls taken apart, cleaned and restrung. A 16” strand is called a choker; 18” strand a princess; 20” a matinee and 32” an opera. Any strand longer than opera is called a rope of pearls. Pearls are a delicate gem that can easily be damaged or destroyed with perfumes, hair sprays and oils from skin. The nacre, or surface of the pearl, will dissolve from acids. Pearls should never be worn in water such as hot tubs, swimming pools or showers. Extreme heat can crack the nacre, if left in the sun or by a heater. Pearls need to be cleaned with a soft, damp cloth, without the use of any detergents or cleaners. Never use any type of abrasive cleaners or abrasive materials or the pearl surface. Do not put pearls in ultrasonic cleaners or commercial jewelry cleaners. A damaged pearl can never be repaired because the nacre cannot be replaced. Pearls should be stored in a soft pouch or pearl folder. Safekeeping and treatment of pearls will ensure that pearls can last for generations. Rembrandt, Vermeer, Manet, Titan, Renoir and many others have painted beautiful portraits of women wearing pearls. Photographers have captured Coco Chanel, Jacqueline Kennedy, Marlene Dietrich, Vivien Leigh, Marilyn Monroe, Audrey Hepburn and other society women all in their favorite style of pearls—clearly a love for pearls. Sandro Botticielli, known for painting some of the most beautiful female images, painted the portrait of Simonetta Vespucci de’Medici in1480– she is wearing strings of pearls and pink ribbons woven in her hair and a thick braid of pearls in her clothes framing her dé colletage. The modern woman wears pearls with formal gowns, black dresses, jeans and, as Elizabeth Taylor wore them on the beach, in bikinis. Grace Kelly casually wrapped her long pearl strands around her arm, elegant and understated. When the first drop of rain fell from the clouds into the wide blue sea, it felt insignificant, as it was tossed and tumbled by the rolling waves. “How tiny I am in this vast expanse!” it cried. And Heaven answered, “Your modesty honors you, little raindrop, and so I will transform you into a drop of light. You will be the noblest of all jewels, queen of them all, and you will have power over all women.” And the pearl was born.